This blog gives step-by-step instructions on how to import Do Not Call lists into Acarda Outbound. These instructions apply to both the Team and Solo Editions of Acarda Outbound. For Acarda Outbound Team: In Acarda Outbound Manager click on the Manage tab then in the Import group of icons, click on the Do Not Call icon. For Acarda Outbound Solo: Click on the Administration tab (rather than the Agent View tab) and then the Manage tab, then in the Import group of icons, click on the Do Not Call icon. The import Do Not Call file must be a text file such as a csv file. If there is more than one column of data then only the first column will be imported. Formatting of the telephone numbers will be removed during import. Modify the defaulted “Comment” if you want to. Note the “Source Tag” cannot be changed. This is used to identify the import file source is useful for managing your Do Not Call lists. Figure 1: The Import Do Not Call Tab. Once you have imported a file, the Import and Cancel buttons will be disabled to prevent you accidently re-importing the same data. After selecting a new source file name, these buttons will be enabled again. To view the imported Do Not Call list data you need to open the Do Not Call directory. For Acarda Outbound Team: In Acarda Outbound Manager click on the Manage tab then in the Directories group of icons, click on the Do Not Call icon. 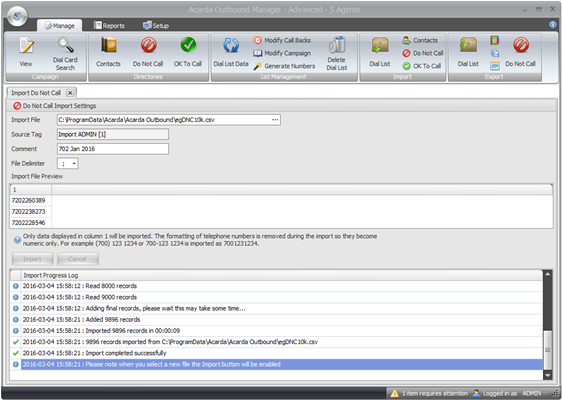 For Acarda Outbound Solo: Click on the Administration tab (rather than the Agent View tab) and then the Manage tab, then in the Directories group of icons, click on the Do Not Call icon. Figure 2: The Do Not Call directory. In the grid list on the left side is a list of import sources, the date of import, comment and a count of the number of records imported. As these lists could have millions of numbers in them we do not show the actual list of numbers unless you use the Display All icon at top of the right side panel called Source List Numbers. Usually you would enter in a telephone number to check in the “Search Telephone” box at the top of the gird. You can also delete an individual telephone number from this source’s list by clicking on the Delete icon. Take care above the left hand side list is a Delete Source icon. Only use that if you want to delete the entire list! If you upload Do Not Call numbers each month then use the Source to identify the imported list. It is helpful to include the Month and Year in the Source tag. e.g. 702 Jan 2016. Then when you come to import a more recent list you can delete the old list by using the Source Delete. If your Do Not Call lists have millions of numbers then you may need to delete the older list prior to importing the replacement list. This third and final blog on the subject of how well Acarda Outbound stands up to the 2015 FCC Order on Autodialers. The June 18, 2015, FCC Declaratory Rule and Order, GCC-15-72A1, can be read here. In particular this blog will look at paragraph 17 and 18. You should seek your own legal counsel for an interpretation of this ruling however the following questions and answers may be helpful. For other questions please see the first blog here and or the second blog here. Q6. Can Acarda Outbound “dial numbers without human intervention”? A6. Paragraph 17 reads that “the Commission has also long held that the basic functions of an autodialer are to ‘dial numbers without human intervention’ and this further strengthens the case that Acarda Outbound is not an autodialer. Acarda Outbound’s primary design purpose is to help live agents make more productive calls. Acarda Outbound cannot function as an autodialer and must have a real person to initiate each and every call that is made. Q7. Does Acarda Outbound have the “capacity” to become an autodialer? A7. 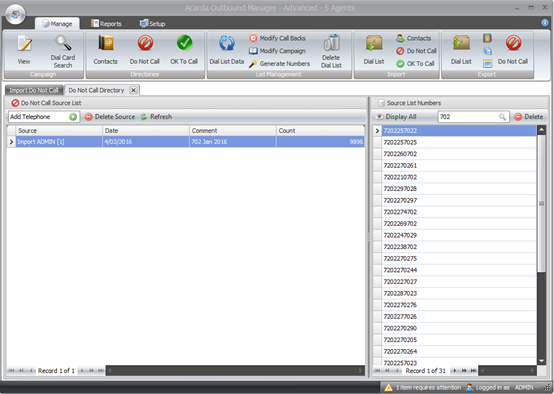 Unless an agent presses a button in the Acarda Outbound toolbar the agent will never place a dial out. The Acarda Outbound Server cannot push out a lead to an agent unless the agent first clicks a button to seek the next record. This process is fundamental to the design of the software. Even with requested call backs, they do not just appear in the agent screen unless the agent clicks a button for the next call. When they do so the server looks for pre-scheduled call backs and if there is one for that agent it will be sent to the agent otherwise it will send a new record to call. It is not technically feasible to modify the agent software to become an autodialer without re-designing the entire lead management system to function as an autodialer and then you would have an entirely different product. Further, the dialing interfaces, usually 3rd-party softphones or hardware modems, are not sophisticated enough to return the call progress analysis that would be required for autodialer functionality, the dialing interfaces do not have the capacity to be autodialers. Q8. What about other outbound calling products? A8. It has always been our intention to keep Acarda Outbound‘s strength on call management with the aim to have it speed-dial out with simple telephony hardware or software to avoid needing sophisticated and expensive dialing hardware. 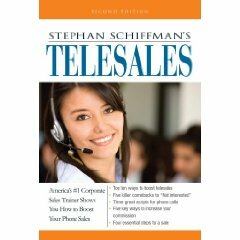 Most the competing products, that we are aware of, use sophisticated telephony hardware and software to make calls and the majority offer power or predictive dialing autodialer functionally. For our competitors it is not a question of having the capacity to become an autodialer as they are autodialer products already and their marketing material clearly states this. There are very few outbound calling products on the market that only provide a speed dialing capacity. Acarda Outbound is the safest option as it is in no way an autodialer and does not have an autodialer capacity. This second of three blogs that look at how well Acarda Outbound stands up to the 2015 FCC Order on Autodialers. The June 18, 2015, FCC Declaratory Rule and Order, GCC-15-72A1, can be read here. In particular this blog will look at paragraph 17 and 18. You should seek your own legal counsel for an interpretation of this ruling however the following questions and answers may be helpful. For other questions please see the first blog posted at here. Q3. What is a speed-dialer? A3. Many telephones will have the ability to program in a telephone number for a numerical key on the telephone allowing the caller to speed dial by clicking the pre-assigned key to dial out. Also, many softphone products allow you to speed dial out a number from a contact directory by simply clicking one key. A speed dialer is equipment, hardware or software, which allows the user to quickly dial out a telephone number without needing to dial the individual digits of the telephone number directly. A4 Paragraph 17 refers to the 1992 TCPA Order, 7 FCC Rcd at 8776, paragraph 47 which reads “prohibitions of [section] 227(b)(1) clearly do not apply to functions like ‘speed dialing.’” This suggests that while autodialers are prohibited, speed-dialers that dial out one number at a time are permitted. Q5. Is Acarda Outbound a speed-dailer? A5. 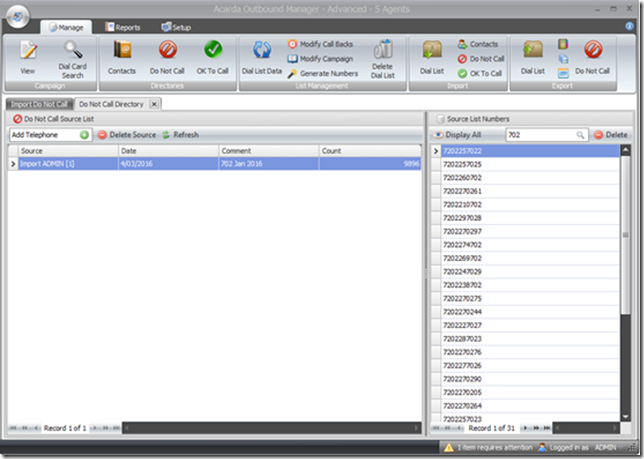 The dialing function in the Acarda Outbound Agent is a minor part of Acarda Outbound’s feature set. In the agent software a dial out is initiated when the agent clicks the appropriate button in their toolbar and then it only dials out a single telephone number. Once dialed, the agent must determine the call outcome and select to call it back if it is engaged or no answer or have a conversation and then make notes on the call. This is the first of three blogs that look at how well Acarda Outbound stands up to the 2015 FCC Order on Autodialers. The June 18, 2015, FCC Declaratory Rule and Order, GCC-15-72A1, can be read here. In particular this blog will look at paragraph 17 and 18. You should seek your own legal counsel for an interpretation of this ruling however the following questions and answers may be helpful. Q1. What is an autodialer? A1. There are several types of autodialers. An autodialer that randomly or sequentially dials a list of numbers to deliver a pre-recorded message to the recipient is referred to as a voice broadcasting autodialer, or a robocalling autodialer. This is a fully automated process without human intervention unless the called person was given the option to be transferred to a live person. In some call centers a power dialer is used to dial ahead and find people for an agent to speak with. These autodialers wait until an agent is available and then dial out on multiple lines to find another person. More sophisticated autodialers, called predictive dialers, will start dialing even before an agent is ready and they use realtime analysis to determine when to start dialing and how many lines to dial out on in order to minimize the time an agent needs to wait for a new contact to speak with at the end of their current call. Q2. Is Acarda Outbound an autodialer? A2. Acarda Outbound has no predictive dialer ability and should not be considered to be an autodialer. It functions as a Call Manager where agents can make notes on each call and record call outcomes. The Acarda Outbound Agent displays contact details like a Contact Management System and then when the agent clicks a button the telephone number is speed-dialed in a similar way to the speed-dialer capability of a memory dial desktop telephone. There is a lot of confusion over what an autodialer is, and particularly in the United States, with the FCC and TCPA definitions thrown in the mix; the term autodialer could include an even broader range of equipment and devices. Traditionally, the function of an autodialer was to automatically phone through a list of numbers and play a recorded message to the recipient. No live agents or telemarketers were necessary with this sort of autodialer. In comparison, live agents in a call center making outbound calls may use a progressive dialer, also known as a power dialer, or a preview dialer. Here the next lead is not dialed until an agent is available and usually the contact details would also be displayed on the agent screen so the agent can preview the information while it is being called. The most sophisticated type of dialer is the predictive dialer which statistically calculates when the next agent will want a call and then it dials out, ahead of time, on multiple lines in an effort to reach someone. When someone does answer the call they are then transferred to the next available agent. These devices are often combined with the ability to distinguish between a live person and a voice mail system and then on the occasions when they reach a voice mail system they can leave a pre-recorded message. In this way they have a semi-autodialer function built into them. Although this yields great productivity it has the negative aspect of potentially reaching people when there are no agents available, in which case the dialer usually drops the call, effectively hanging up on the called person. They are also the most complicated of dialers and need an operator who is technically skilled and has a good understanding of the rules and regulations that govern the use of this sort of technology. We have been working with telephony equipment for some 15 years and over this time we have had many requests to develop a predictive dialer or to add this sort of functionality to Acarda Outbound, and its predecessor, TeamMax. In the current regulatory atmosphere, we are thankful we never went down this path. Now-a-days, predictive dialers are likely to land you in a lot of trouble if not strictly used within the regulations. 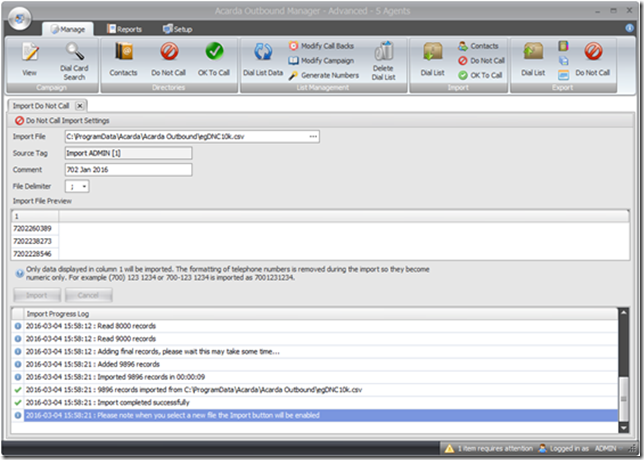 Acarda Outbound has no predictive dialer ability and is not an autodialer. Rather it functions as a call manager with the Acarda Outbound Agent software acting more precisely as speed-dialer in a similar way to the speed-dialer capability of your memory dial handset telephones. Further, Acarda Outbound does not dial the telephone number itself but rather relies on another application or device to dial the number. For example, when using a softphone such as Zoiper or Skype, Acarda Outbound tells the softphone, “dial this telephone number”, then the softphone dials the number. Acarda Outbound cannot automatically work through a list without human interaction and call people any more than your deskphone can start dialing a list of numbers without you pressing buttons on the deskphone. Acarda Outbound has a preview and a demand dialing mode however in both cases you must click a button to initial a dial out to the telephone number and that dial out functions like a speed-dialer (or click-to-dial) not an autodialer.